In our store we rent snorkel equipment at a rate of only $5.00 for 24 Hrs! Rentals include: fins, a mask and snorkel, and an optional life vest. All rentals require a $20 deposit or a form of identification, which will be returned when equipment is brought back. We also provide educational material about the island’s reefs, along with the regulations and rules for snorkeling in the Marine Reserve. This information is vital not only for the safety of our reefs, but for your safety as well. Check out Snorkel Guidelines here. 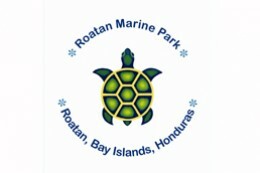 In addition to rental equipment the Roatan Marine Park Eco-Store offers official merchandise, eco-friendly repellants, and alternative livelihood products, is an integral source of funding for our organization. Revenues generated from the store help supplement other sources of funding we receive such as donations, user fees, and grants, and are necessary to continue the many projects and services we provide. Your purchases aid the Marine Park in maintaining conservation efforts on the island. We appreciate your support!